In stock -This product will ship today if ordered within the next 8 hours and 24 minutes. The silicone tooth & gum brush `hug` the teeth so kids find them really easy to use, even on their own. It is double sided, so it cleans top & bottom, front & back at the same time! For children aged between 2-6 years. Wash thoroughly before and after use. 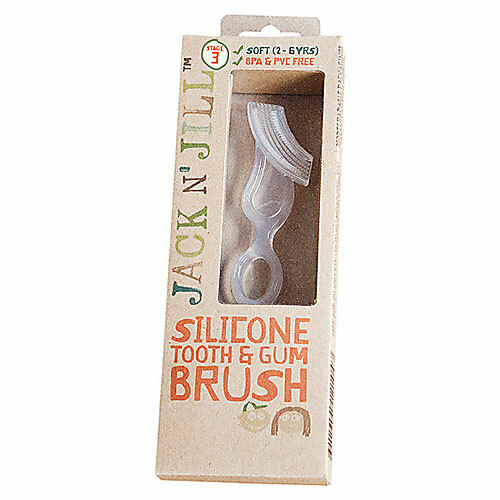 Apply a small amount of Jack N` Jill Natural Toothpaste to brush on both sides. Gently slide brush over teeth with a forward/backward motion. Do not chew! Will not withstand chewing! 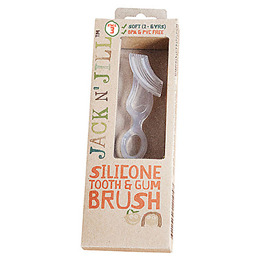 Below are reviews of Jack N` Jill Silicone Tooth & Gum Brush by bodykind customers. If you have tried this product we'd love to hear what you think so please leave a review.